Party presents have to be unique, fun, and convenient, and many a times, they shouldn’t cost you a fortune. Besides, sometimes it’s more important spending time with family and friends instead of focusing your efforts on getting the perfect party present. To save you a bit of time and help you with your decision-making process, we’ve put together a list of nice-looking and convenient gadgets and gifts that you can use to take your parties to a whole new level. 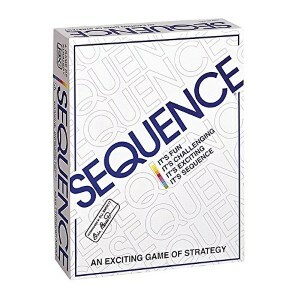 Jax is a sequence strategy game that uses two standard decks of cards, a folding board, and 135 playing chips. Of course, you’ll also get a set of instructions explaining the game’s rules, which will make for quite challenging matches between adults but are still simple enough to be understood by children. As such, it can be adequately played by families of four or five and the different ability of child and adult players can easily be balanced out by forming either two, three or four teams. The board is small enough for a coffee table, at 13 x 20 inches. 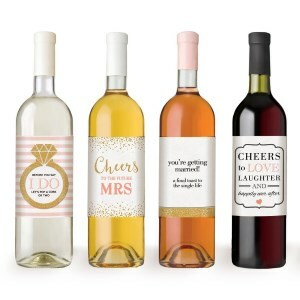 It’s always nice to personalize gifts for special occasions, and this collection of labels will allow you to properly commemorate your friend’s engagement and wedding with a special bottle of wine. The bottle itself is to be bought separately, but once the original label is removed, you can easily apply one of the four available waterproof stickers that feature appropriate cheers for the occasion. They have been intended as gifts for bachelorette parties, so their design is cheerful and girly, while simple enough to not offend good taste. The stickers themselves are sturdy, and can easily handle moisture, condensation, and frost. 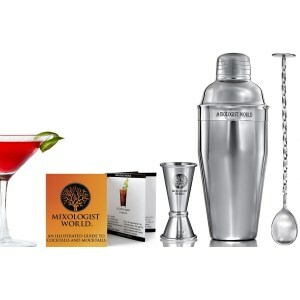 If you’re into mixing drinks, this cocktail set should definitely find its way on your kitchen shelf. It contains almost everything you need to experiment and put your skills into practice: a large Boston tin; a built-in strainer; a twisted mixing bar spoon and a professional double-size bar jigger tool. All of them are made out of premium stainless steel and feature a remarkable level of construction quality, well appreciated by its many buyers, as this product is one of the best sellers in its class. The set is also pretty easy to clean after use, as all of its components are dishwasher safe. Board games are experiencing a sort of revival lately, as a less socially alienating but equally fun alternative to PC turn-based strategies. The newer additions to this category are a far cry from the dice-based board games of yesteryear and can rival in complexity with computer-based alternatives like Sid Mayer’s Civilizations. 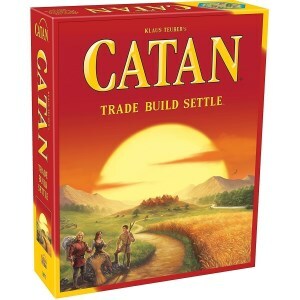 While Risk is the first title that comes to mind, Settlers of Catan gained a better appreciation with critics and board games enthusiasts, as it allows for little to no exploits of the rules, with luck never playing a factor in winning. The 5th edition brings a new board, new cards, and different graphics while keeping close to the rules that made it famous. While not all versions of this product are made of actual vinyl (you can also choose from silicone or plastic), all of them have the look of vintage 45” vinyl records, allowing you to use these throwbacks to a simpler time as protection for your furniture. They do their jobs as coasters adequately enough, as they are hard to break maintain their shape under high temperature, which would make them suitable to be used under hot beverages like coffee or spiced wine. 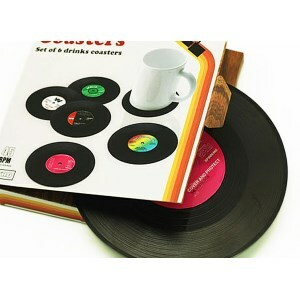 All the materials should be easy to clean under a cold water tap, with plastic and silicone providing an extra bit of convenience in this regard over vinyl, but the later, however, keep the coasters historically accurate. If you want a doormat with an attitude, this product might be for you. This piece of 100% Olefin fabric will delight your friends with a variation of the famous “Go Away!” message that’s kept safe enough not to actually offend anybody. Its dimensions should fit to most front doors at 18”x 27” and the color used will lend itself to seldom washing, as it mimics the dust naturally found outdoors. Even so, the mat is tough enough to be rinsed with a hose as, besides a rugged material, it also features thick double stitching. 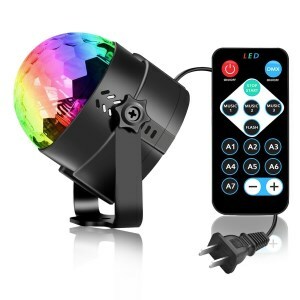 Great for every type of house party, this Spriak disco ball should liven the atmosphere without seriously affecting your budget. It’s fairly adaptable and has some functions to keep your friends entertained. Since it uses LEDs, it works with red, green, and blue as base colors but these can be combined to give up to seven secondary hues. You’ll also get a number of modes and patterns, like an auto-mode that randomly switches colors, a music mode which sets the lighting to the rhythm of the music, and a strobe that flashes the light on and off at various intervals. 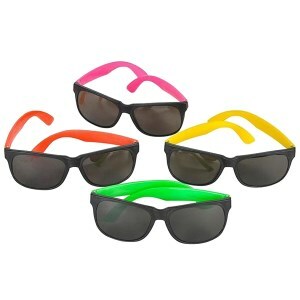 These 80’s style neon sunglasses will feed your nostalgia while also making great party accessories for kids or ironic teenagers. Thanks to the high flexibility offered by their plastic frame, they can fit both average sized adults and children. A pack of 24 should cover the needs of a birthday party and the four colors featured, magenta, green, yellow and vermilion, should provide for enough variety for a lively atmosphere. This will also make them good give-away toys for small children who are easily impressed by colorful objects, and the fact that they don’t look cheap should go well with their parents. 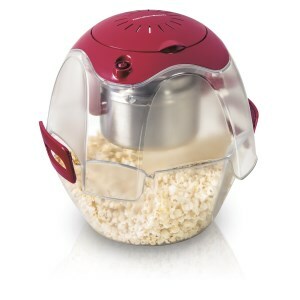 This popcorn maker will provide a great deal of convenience when hosting a house party while also adaptable enough for day to day use. Besides being a cooker, it comes with its own measuring cup and the bottom can double as a sizable bowl. It can cook up to 24 cups per batch, which would be enough to serve a large number of people without any refill. The only thing required from the user will be filling it up with kernels and cooking oil, which can be done easily enough using the specialized measuring cup. To top things up, its attractive design will make it a nice thing to have in a kitchen. Party gifts are often a reason for concern. It’s ok when you’re the recipient, but when you have to find cool party gifts, the search will often make you run out of ideas and it can end up with a last minute race to grab something. Party gifts are important, and they should be treated as such. But while the number of objects that can be bought as gifts is almost unlimited, there is always a question of how suitable the gift is and whether or not the idea is befitting. Because time is usually of the essence, the search for the gift must be quick and efficient. But if browsing for it takes forever, deciding could seem just as difficult. The number of elements you have to take into account when you’re thinking about it is also relevant. The needs and preferences of the person who is about to receive the gift have to be put in the balance. If you already have a headache, then perhaps you could use our help to get around this situation. Read the guide we have managed to put together and make a decision based on the information it contains. Not all parties are the same, and as a consequence, the party gifts have to vary in agreement. Some of the most frequent occasions are discussed below. As you move from one to the next, you’ll notice we concerned ourselves with the adequacy of the present in relation to its receiver. When going to a kid’s party, we are supposed to make them surprise gifts that would keep them happy and playful. The nature of those gifts depends mostly on the age and hobbies of the kid. Some of them are better suited for small children, like pirate swords, temporary tattoos, stickers and coloring books. Other presents are just as suitable for young and adults because you can still have fun with pick-up sticks even if you’re not a kid. But some of the best party gifts are glow & LED toys. Choose a LED fidget spinner, a LED light stick saber or a flashing yo-yo, and you have a high chance of winning someone over. If you’re attending a girl’s party, it’s a better idea to bring a glowing fairy wand along, or a light hoop. You could be the host of such a party, so prepare with cool party favors ideas. Mini gumball machines, chocolate bars or emoji Oreos are likely to have a great impact. The habit of having a housewarming party is old and meaningful, but it’s not cool anymore to bring firewood, so you’ll have to find something more useful. Since the person or couple that has recently moved in are probably short of a few things or they could use some new items, it’s best to bring them gifts that are practical and nice. Products for the bar and kitchen are really popular, so buy some cool looking shot glasses, coasters or a home bar. A toolbox jar would be suitable for the guy moving in, while a cutting board or pillow would make her content. Liquor, gummy wine bears, and ‘recovery’ aids should be on your list for cool party favors for adults. They don’t have to be in abundance; the suggestion is what counts in this kind of situations. At some casual engagement parties there’s no need to bring a gift, but when it’s a formal occasion, then you can consider it a lovely opportunity to come up with something that can serve as a memento and show celebration. You can bring a wedding planner in case other guests don’t have the same thing in mind. A wine crate and flowers will always be unique, so you wouldn’t have to worry about what the other guest could bring. 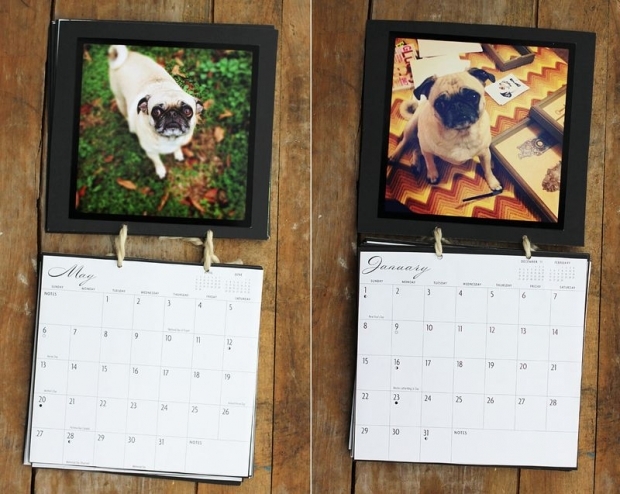 On such celebrations, picture frames are also a nice idea. It suggests the uniqueness of the moment and it stands a chance to last for a long time. People intend to use them when they receive them at emotional times of this kind. 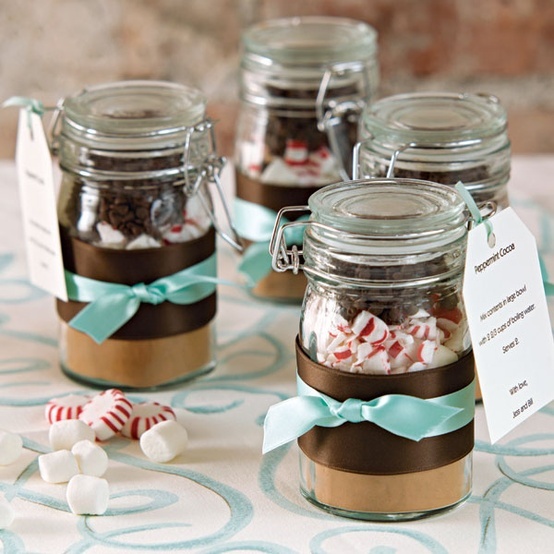 For those who need to think of party favors, a favor container with chocolate cookies and fortune cookies, candles or disposable cameras are ideal. On occasions like this, sweet treats are still the best party favors for adults. If you’re preparing for a cocktail party, then you shouldn’t try to bring gifts that require lots of attention. The hosts will probably be humming around, taking care of the guests and they won’t have to read instructions or assemble things. You could search for something that can be used at the party or can be put aside for the next one. Focus mostly on the bar, because that’s where the action is, and buy a one-drink stirrer or some cocktail cherries. These kinds of supplies never go bad. Whiskey rocks and ice trays are also useful, and the former are very cool, so you can count on a replay. Purchase muddlers for smashing the herbs and fruits in the drinks they’re preparing at the bar. Bottle openers are just as good because they will always come in handy and people never seem to find them when they need them. It’s most likely that a dinner party is going to be the most peaceful of all the parties we’ve mentioned. It’s rather the kind of party where vintage books could find their place. Also, people who invite their friends over for dinner are probably happy to spend time preparing various foods. That is a good reason to search for items that would meet their passion. You could bring something for the meal, but it would have to be a gift that doesn’t require immediate attention. Don’t buy something that can spoil everyone’s appetite. It is better to think of products that could be used in the future. Herb blends and spices or a tea garden in a box look great and cheer up the hosts. A small gadget for the kitchen, like a tea infuser and herb chopper or special napkins for the table should be kept in mind.